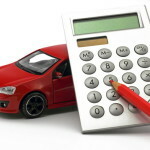 California car insurance requirements are some of the strictest in the US. It is state regulation that you must have proof of insurance (financial responsibility) to operate a car in the state. If you are looking for auto insurance quotes in California its important for you to understand what is required. The above are the State of California’s minimum requirements for car insurance. California minimum requirements do not include collision or comprehensive insurance coverage that protects, you, the driver from damage done to your car or bodily damage you sustain personally. When Will You Be Asked To Show Proof Of Insurance In CA? – When you are involved in a car accident. When Will Your Vehicle Registration Be Suspended If You Do Not Have Insurance? – DMV gets notice that your car insurance has been cancelled and you have not renewed or replaced your car insurance within 45 days. – DMV does not receive proof of car insurance within 30 days of initial registration of a purchased car or transfer of car ownership. – Your registration is obtained by providing false insurance.